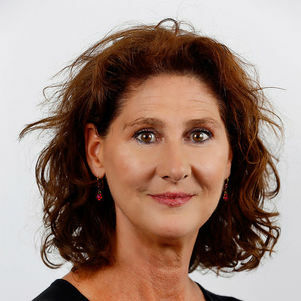 Marjan Hagenzieker is Professor at Delft University of Technology. She graduated in experimental psychology and received her Doctorate (PhD) at Leiden University. Her research and education activities focus on the road safety effects of the transport system, with particular interest in road user behaviour aspects. Research topics include distraction in traffic; safety of vulnerable road users (e.g. elderly, bicyclists); road user interactions with road infrastructure, in-vehicle technology, and automated vehicles. She also holds a part time position at the Norwegian Centre of Transport Research TØI. The behaviour of road users is a recurring theme in my research. How do road users, for example, deal with distractions, smart cars and complex traffic situations, and what is the impact of their behaviour on road safety? Stelling-Konczak, A., Hagenzieker, M. and Van Wee, B. (2015). Traffic Sounds and Cycling Safety: the Use of Electronic Devices by Cyclists and the Quietness of Hybrid and Electric cars. Transport Reviews 35(4): 422-444. Hagenzieker, M. P., Commandeur, J. J. F. and Bijleveld, F. D. (2014). The history of road safety research: A quantitative approach. Transportation Research Part F: Traffic Psychology and Behaviour 25: 150-162. Schepers, P., Hagenzieker, M., Methorst, R., Van Wee, B. and Wegman, F. (2014). A conceptual framework for road safety and mobility applied to cycling safety. Accident Analysis & Prevention 62: 331-340. Wee, B. v., Hagenzieker, M. and Wijnen, W. (2014). Which indicators to include in the ex ante evaluations of the safety effects of policy options? Gaps in evaluations and a discussion based on an ethical perspective. Transport Policy 31: 19-26. Houwing, S., Hagenzieker, M., Mathijssen, R. P. M., Legrand, S.-A., Verstraete, A. G., Hels, T., . . . Brookhuis, K. A. (2013). Random and systematic errors in case-control studies calculating the injury risk of driving under the influence of psychoactive substances. Accident Analysis & Prevention 52(0): 144-153. Davidse, R. J., Hagenzieker, M. P., Wolffelaar, P. C. v. and Brouwer, W. H. (2009). Effects of in-car support on mental workload and driving performance of older drivers. Human Factors 51(August 2009): 463-476. Mesken, J., Hagenzieker, M. P. and Rothengatter, J. A. (2007). Frequency, determinants and consequences of drivers' emotions: An on-the-road study using self-reports, (observed) behaviour and physiology. Transportation Research Part F: Traffic Psychology and Behaviour 10(6): 458-475. Dragutinovic, N., Brookhuis, K. A., Hagenzieker, M. P. and Marchau, V. A. W. J. (2005). Behavioural effects of advanced cruise control use - a meta-analytic approach. European Journal of Transport and Infrastructure Research 5(4): 267-280. Road safety of bicycles, e-bikes, and other motorized two-wheelers (MOTORIST project). Hagenzieker, M.P., 2015. "Dat paaltje had ook een kind kunnen zijn". Over verkeersveiligheid en gedrag van mensen in het verkeer / "that bollard could have been a child". About road safety and behaviour of people in traffic. Inaugural speech. 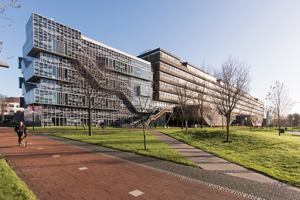 Delft University of Technology, Delft. Hagenzieker, M.P. (1999). Rewards and road user behaviour. An investigation of the effects of reward programs on safety belt use. PhD thesis Leiden University. Nieuwsuur, Nederlandse Omroep Stichting (NOS). Dit is de toekomst van zelfdenkende voertuigen. Interview with Marjan Hagenzieker. 17 June 2018, 22:00 - 22:15. Verkeerskunde (2018). Eerst mensen begrijpen, dan zelfrijdende auto's programmeren. Interview with Marjan Hagenzieker. 21 February 2018. Nederlandse Omroep Stichting (NOS). Veel slimme en 'veilige' snufjes in nieuwe auto's nauwelijks gebruikt. Interview with Marjan Hagenzieker. 1 November 2017, 19:30 - 20:00. De auto show, BNR Nieuwsradio (2015). Tesla te vroeg met autopilot. Interview with Marjan Hagenzieker. 13 November 2015, 15:00 - 15:30. Verkeerskunde (2015). Beter begrip ongevalsrisico's voor veiliger verkeer. Interview with Marjan Hagenzieker. 18 December 2015. Trouw (2015). Auto-auto eist van chauffeur juist meer. Interview with Marjan Hagenzieker. 26 October 2015. Telegraaf (2015). Langer mobiel blijven maakt slachtoffers. Interview Marjan Hagenzieker: ziet nieuwe verkeersonveiligheid ontstaan. 9 November 2015. BNR, Business News Radio (2014). Afleiding in de auto; Interview with Marjan Hagenzieker. 29 July 2014. Radio 1 (2013). Werklunch: Verkeersveiligheid in Marokko. Interview with Marjan Hagenzieker. 13 December 2013, 13:15 - 13:25.